The Outer Hebrides is a game angler’s dream location and one that will fill you with all the emotions and all the pleasures associated with this wonderful and rewarding sport. 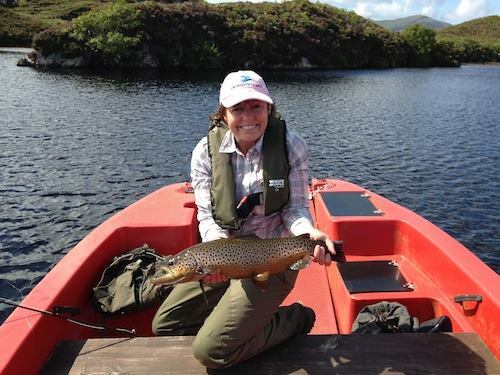 Whether you are a solitary angler, form part of a larger group or are simply looking for a tranquil family vacation, the Outer Hebrides has it all -namely, some of the best summer salmon and trout fishing in Europe amidst spectacular scenery. 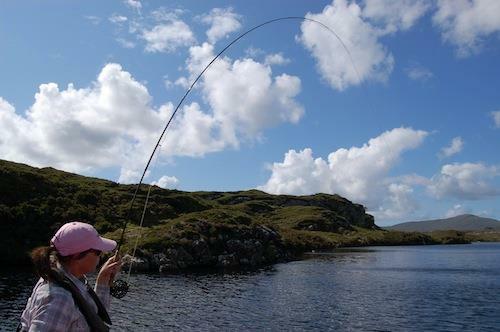 Last August FishPal staff went on holiday to the Hebrides and enjoyed 2 weeks of outstanding fishing. Staying at Finsbay Cottages at East Harris, 13 miles south of Tarbet they were spoilt for choice with over 50 lochs on Finsbay, 35 on Flodabay and 17 on Stockinish, each with two separate tributaries to the sea. Some of the lochs are near the road, most can be reached within thirty minutes, and the most distant are within an hour’s walk. Thank you to our guide Alistair McKinnon we caught pollock, cod and sea trout in the sea lochs at Finsbay and wild brown trout in lochs up to a staggering 9lb. So far this year anglers fishing Finsbay have caught 36 sea trout and 315 trout. During our stay we didn’t see another angler fish this water. 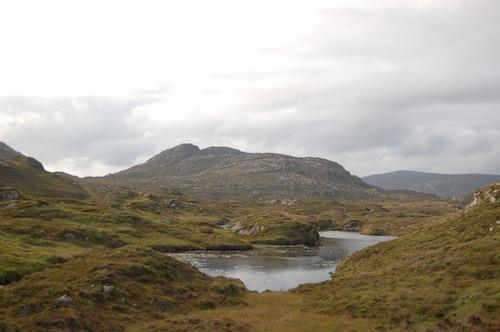 These loch are a under fished gem on the Isle of Harris. For more information and to book fishing please follow this link or contact FishPal’s Gail Tunnah. We were also very lucky to get a day ticket to fish the famous Amhuinnsuidhe Castle Estate. There are nine separate fresh water loch and river systems of which Loch Voshimid is the most famous, all in remote and beautiful surroundings, the haunt of golden eagles and red deer. 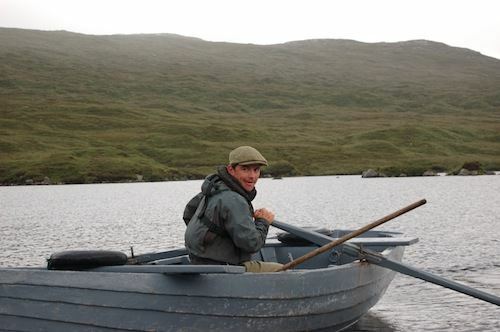 Fishing loch style on Voshimid for sea trout in gale force winds we caught 3 sea trout up to 3lbs. Our boat man gave a master class in moving and handling a boat in very difficult conditions. So far this year anglers fishing Amhuinnsuidhe have caught 47 salmon and 192 sea trout (186 caught in July). Five year sea trout average 520 and salmon 246.